Feb 10, 2017 — by Ernest Robertson D.D.S. Missing teeth can lead to a number of cosmetic and health issues. There are plenty of ways to address tooth loss, but one of the ideal solutions for this problem is the use of dental implants to support bridges and dentures. We're proud to have given people in New York beautiful and healthy smiles that to implant dentistry. 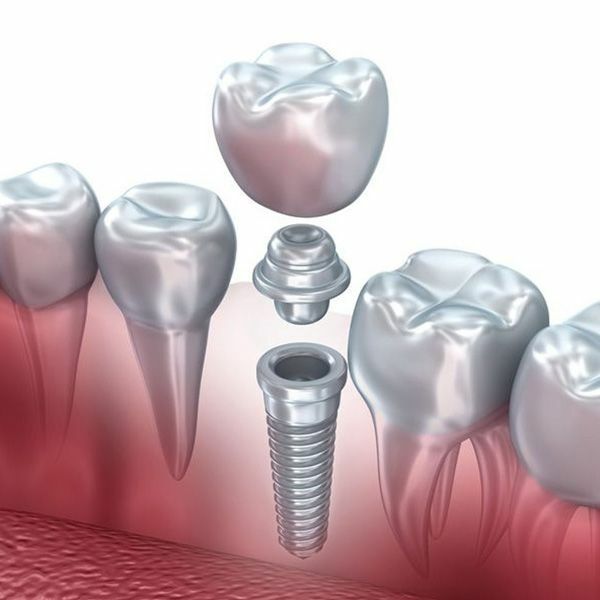 We'd like to take a moment to consider the recovery process for dental implants surgery. This should give you a good idea on whether this is an ideal solution for you and your needs. In order for most dental implants to be placed, an oral surgery procedure is performed. During this procedure, gum tissue is cut away in the area of the tooth gap to reveal the jawbone. The the implant post is carefully embedded into the jawbone so that it can fuse there with healing. Sutures are placed on the gum tissue to help with healing. After undergoing oral surgery, it's not uncommon to experience grogginess and fatigue. This is the result of anesthetic wearing off as well as sedation. Thankfully this grogginess is only temporary. Patients will need a loved one or friend to drive them home after the surgery as a safety precaution. These are all temporary and mild issues, and they can be addressed by following your post-op instruction carefully. During follow-up visits, you oral surgeon will note your recovery. Be sure to contact your oral surgeon in cases of serious pain and discomfort. Use of Drinking Straws – The suction in the mouth when using a drinking straw can affect sutures and blood clots along the gum tissue. Do not use a straw until your oral surgeon advises otherwise. Use of Tobacco Products – Smoking and the use of chewing tobacco increases your risk of infections and gum disease. You'll want to avoid tobacco products for several weeks as you heal. It's best to not use tobacco products at all after surgery, to be honest. Drinking Alcoholic Beverages – Alcohol can increase your risk of infection and other serious side effects. Be sure to stay hydrated with water after your oral surgery. How Long Will Healing Take? For dental implants surgery, general healing will take a few weeks. By the end of this period, pain and discomfort should be minor, and bruising and swelling should no longer be issues. However, full healing from surgery will take a few months. This is because of osseointegration, a process of fusion between the dental implant with the bone and gum tissue. Only when osseointegration has occurred will the dental implant or implants be ready to support an appliance. During the consultation process, we can provide a general timeline for recovery as well as guidelines for the process so you know what to expect. To learn more about dental implants and whether or not they are an ideal option for you and your needs, be sure to contact our cosmetic and restorative dentistry center today. Our team will help you have a healthy and beautiful smile.